X-Men: Days of Future Past arrived in theaters this past weekend and took its place as the most expensive superhero movie ever. Though beyond all the special effects and amazing cast, this film was overflowing with important moments. Some good, some bad, but all extreme! So if you have yet to see the film, please read my Spoiler Free Review first and go see it. If you have seen the film, then let’s get ready to countdown the Top X – Roman Numeral for 10 – Moments from X-Men: Days of Future Past. Let’s start the countdown off with an identification I most likely am wrong about – only because there’s a point to it. As the film opens, we find someone with white hair being hunted by the Sentinels in the future. Originally, I believed this to be Rogue (played by Anna Paquin); but it doesn’t matter whether it was or wasn’t because its what made me believe it was her that makes this the first on the list. Sure the character appeared to have a white streak of hair – and looked like a girl – but my identification of this was swayed because of the original storyline of the film. Initially, Rogue was supposed to play a huge role in the film; but due to the film already being over 2 hours long, her part was cut down. As the story is rumored to have originally went, she was captured by Sentinels and the X-Men had to rescue her after Kitty Pride got hurt. With Kitty unable to use her powers while injured, Rogue was the only one who could mimic Kitty’s powers and send Wolverine back to the past. It was later announced that due to those time constraints that Rogue would just appear already rescued and pick up where Kitty left off. Though as you probably noticed in the film, Rogue was nowhere in the dark future. On one hand, this makes sense since Kitty stopping her time travel and Rogue starting would have pulled Wolverine back to the present – and there’s no telling what might have happened then. On the other, Rogue absence from the future – and even the story in general – was odd. We know the Sentinels got their adaptability from Mystique, but she just changes appearance. The only mutant who can actually change powers is Rogue. As far as we know in this storyline, Rogue isn’t Mystique’s daughter – as she is in some storylines – and the Sentinels were clearly using past mutant abilities against the mutants they fought (ie: Fire against Iceman, Ice against Sunspot, unbreakable steel against colossus, healing powers, etc). These are all powers that make a lot more sense comin from Rogue. Sure the shifting/regenerating on them looked like Mystique, but the powers behind them were all Rogue – so where was she and what role did she play? As luck would have it, we will actually have two different versions of Quicksilver in the movies within a year’s time – same for Scarlet Witch but her scene was cut from this movie as well. Though whereas the Quicksilver and Scarlet Witch might seem more true to form and attitude in The Avengers 2: Age of Ultron, it seems as though X-Men: Days of Future Past will stay true to the origin story. When Wolverine, Charles, and the others break Magneto out of prison, Quicksilver notices that Magneto has the power to control magnetism, to which he says “My mom used to know someone who could do that.” It’s not completely completely confirmed, but between this comment, and Quicksilver and his mom watching Magneto address the nation, it’s a safe bet that Magneto is indeed his father in this story. In a completely “I did not see that coming” moment, it turns out Magneto is the one who killed John F Kennedy – or did he? According to Magneto, JFK was shot because he was a mutant as well; and Magneto was trying to save him until security interfered. Magneto failing to deflect the bullet all together led to the famous ‘magic bullet’ scenario that is so closely tied to the JFK Assassination tales. I don’t recall this ever happening in the comics; but I thoroughly enjoyed this surprise turn of events. The Xavier and Magneto dynamic has usually remains the same: one trying to save while the other has gone down a dangerous path. Although this time around – at least for a little while – those roles are reversed; and their heated argument on the plane is the perfect example of this. Charles might not be trying to kill like Magneto, but his lack of action has lead to the deaths of countless mutants (ie: Emma, Banshee, Azazel and Angel to name a few). Now how these mutants died isn’t mentioned, but the sides of right and wrong are clearly in Magneto’s favor. We know from earlier that Xavier has hid from his gifts and wants to distance himself as much as possible from mutants and all the trials currently going on in the world. In this moment, it is Xavier who has become the blind coward and Magneto who is the hero – was arrested for trying to save the president. Again, these roles won’t stay like this for long. Soon Xavier will be the hero and trust others, while Magneto will take the cowards approach and try to kill the new president. Each X-Men movie introduces new mutants, and this film was no exception. In fact, the new mutants in this film were some of my favorite. Meet Bishop and Blink, two mutants with very impressive skills. Perhaps the greatest thing about these two isn’t their powers per se, but how their powers are used for teamwork. Bishop constantly absorbs energy to heal and charge his weapon; and Blink is able to teleport people through warp panels she creates. Sadly these two died in the dystopian future; though I still don’t get how the energy absorbing Bishop died from energy blasts – SERIOUSLY, it’s like Darwin all over again from X-Men: First Class. We don’t know yet when the final installment to the trilogy will take place – past or past/future – but I certainly hope we get to see these two again. As I mentioned earlier, the Sentinels might have gotten their powers from Mystique – and probably Rogue too -; but their nightmarish design and programming came from Bolivar Trask. He is the perfect example of what happens when you merge brilliant intelligence with unparalleled obstinence – and that’s never a good thing. Despite his claims of admiring mutants – and even being saved by a group of them – he sees them as the sacrificial lambs that must die to save humanity. There were even a few moments with him and Stryker side by side, which is fitting in so many ways. Stryker might not be as brilliant as Trask, but his affinity for experimentation is just as severe. Although thanks to Mystique, Stryker might not get a chance to become his sick and twisted self. As a huge fan of the Marvel Cinematic Universe, the glaring continuity issues of all the X-Men films can drive me crazy sometimes. Thankfully, this film fixed a lot of them, by basically making it so that it never happened in the first place. Although that being said, there were still some things that didn’t line up. For starters, how did future Wolverine get his adamantium claws back if they were removed during The Wolverine? Considering we saw a younger Magneto break metal into a liquid and infuse it with the Sentinels, I’m guessing future Magneto could do a similar thing – if he found Adamantium already in liquid form. Is it a perfect theory – no – but hey, it’s something. There is a far worse remaining continuity issue. HOW is professor Xavier still alive? In X-Men: The Last Stand we saw Dark Phoenix disintegrate him, but in the end see his consciousness appear in a coma patient. Okay, so he transferred his consciousness like Kitty did to Wolverine; but that still doesn’t explain why he is in his old body. Is it a mental projection to those around him? Nothing is ever mentioned or even acknowledged, but in the end I guess it work out because Last Stand – and most of the initial X-Men trilogy no longer took place. Thus far everything on the list has been either great or ‘curious’. Sadly, the next point is a bad one – and one that has personally bugged me since I saw it. Honestly, this moment(s) actually ruined the film for me in a lot of ways due to it purely coming out of nowhere and serving no purpose. In fact, it even ruins the ending. The scene(s) in question is towards the end of the film when Magneto takes control of the Sentinels – making them go rogue – and then drops an entire stadium around the White House in an attempt to kill the President and his cabinet on national television. That’s right, the man who was in jail for trying to save the president is now trying to kill the next one. Sure, Magneto goes a little overboard sometimes – hell, he tried to kill Mystique because he didn’t think protecting her was an option – but this plan of his is so counter productive it spoils the ending. When he takes control of the Sentinels and they turn on people, that was it for Trask and his plans. His equipment is shown to be at best defective and at worst homicidal. This could have all been written off as Trask humiliated and under investigation; but Magneto then shows himself to be the one controlling the malfunction and tries to kill the president on national television. Thankfully Mystique saves the president in a selfless act and then spares his life. Here is a live broadcast to the entire nation how a mutant selflessly saved the President. Yes, a mutant might have tried to kill him, but it was a mutant that saved him too. This shows to the nation they’re not all bad, and are just like everyone else. Although that’s not how it played out in the aftermath. The newspapers after Magneto’s stunt made mention of Trask becoming the subject of investigation and piles a lot of blame on him – which it should have been. Though as I said, Magneto’s appearance and spectacle removed all blame from Trask. At best Magneto’s stunt is pure needless spectacle; at worst it’s a non-sequitor that spoils what’s to follow. When we heard that the next film was going to be entitled X-Men: Apocalypse, some – me included – figured that would mean this film was a two-parter and the war against the sentinels would continue. The answer – as we learned in the post credits – is actually much simpler than that. 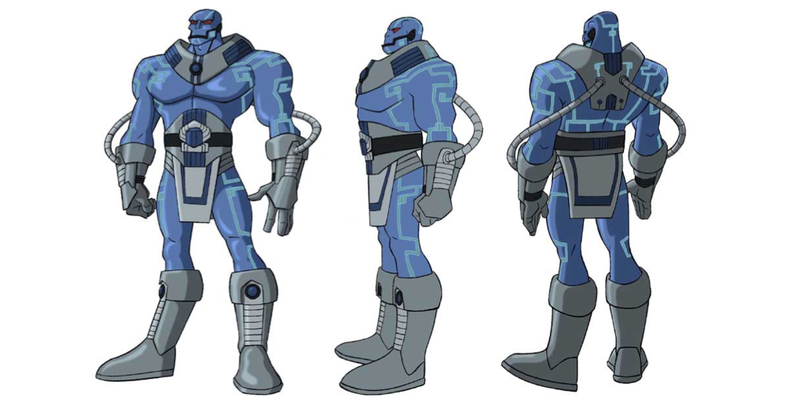 Meet En Sabah Nur, better known as ‘Apocalypse’. Apocalypse was a mutant that lived in Ancient Egypt – as you could guess from him building the pyramids with his powers. As far as powers go, it’s easier to say what powers he doesn’t have. If you look up ‘overpowered’ in the dictionary, there’s a picture of Apocalpyse. Between his own overwhelming power to control every molecular aspect of his body (size, density, etc which in turn controls strength, invulnerability, energy absorption, regeneration, etc) he also augments his powers through alien technology. How he will be portrayed in the next film remains to be seen – as well as how and when he will actually appear. By the way, did you notice those four figures beside him? Those are – you guessed it – his Four Horsemen. These are being chosen by him that he infuses with his own power and blood – which is like steroids to mutants but poison to humans. It certainly seems as though tampering with the timeline did in fact lead to a darker future. As messed up as young Magneto going back to his crazy-sociopathic ways was, that is how awesome Mystique’s turn was. Despite all the meddling, Charles and the others were just making the future worse – and happen a lot sooner. All it took was for Xavier to tell Mystique he trusted her and that she can choose her own path. These two ‘First Class’ films paint Mystique as someone who was treated like a child and thus joins Magneto as a sense of rebellion. By acknowledging Mystique as no longer a child, she avoids taking her first life, which can have tremendous changes for the storyline. 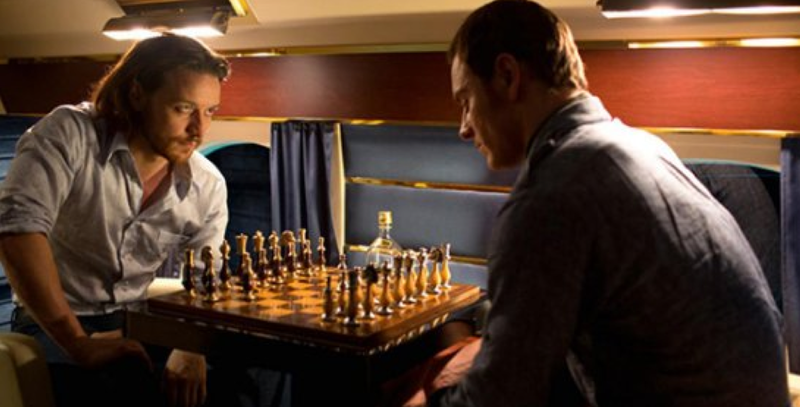 With Mystique saving the president – and scorned by Magneto many years sooner – she will either go off on her own or rejoin with Charles Xavier. She never started to kill and is branded as basically a hero. When she saves Wolverine at the end disguised as Stryker, this doesn’t mean she’s going to transform Wolverine – as some thought. She is going to free him just as she did with the soldier from the beginning. If effect, all of the original X-Men trilogy is gone now because Mystique is good and Wolverine doesn’t have Adamantium. A good Mystique might upset some people, but in the context of the ‘First Class’ storyline it is everything we had been hoping for. With an extremely busy schedule thanks to his villainous role in the upcoming Transformers 4: Age of Extinction, it seemed as though Kelsey Grammer wouldn’t return to his role of Beast. This notion seemed to be confirmed when we learned in the trailers that ‘Beast doesn’t make it’. Though thankfully that was all a trick and Beast did in fact appear for a moment towards the end. It’s still odd that the person they hid got a bigger part than the person they promoted to be in it (Rogue); but in the end I’m very happy Kelsey made it in. He was honestly the only thing about X-Men: The Last Stand I liked. 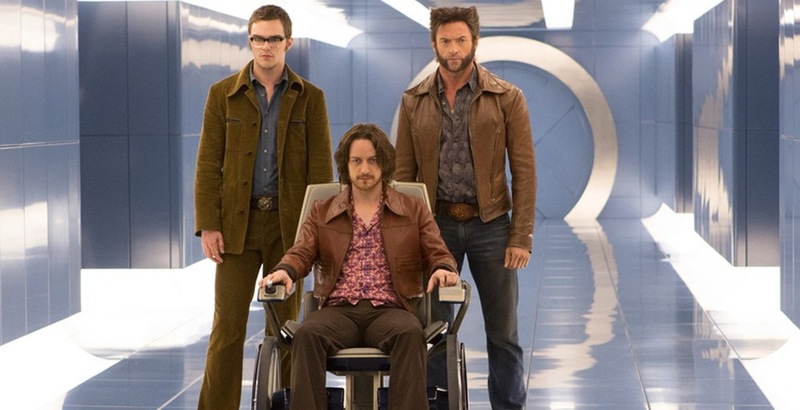 So there you have it, the Top 10 (+1) Most Extreme Moments of X-Men: Days of Future Past. Will the next film take palce exclusively in the past (new cast), or will the future be explored as well? Since the events of the original X-Men trilogy are now vastly different, we need to hear about those missing years. But what did you think was a big moment in the film – good or bad? Let me know in the comments below what you though. Not necessarily. Apocalypse existed back in ancient Egypt and there’s usually something that awakens him. Without the Sentinels future of extermination, then was alive or at least wasn’t distracted and found/awakened him.